October is National Domestic Violence Awareness Month. To help increase visibility of domestic violence — especially when it comes to impacting Black girls like you — we’re sharing the story of Bresha Meadows, who now, at just 15-years-old, is facing life in prison for what she allegedly did to defend her family. On July 28, 2016, 14-year-old Bresha Meadows was looking for a way out. She’d spent years witnessing her mother suffer abuse at the hands of her father, Jonathan Meadows, and despite several attempts, she was unable to find the help she and her family desperately needed. So, early that summer morning, Bresha allegedly shot Jonathan with his .45 caliber handgun — the same handgun he reportedly threatened to use to kill his family numerous times — as he slept on the couch. “She’s my hero, our hero,” said Bresha’s mother, Brandi Meadows, in an interview with Fox 8 Cleveland. “I wasn’t strong enough to get out, and she helped us all.” Back in 2011, Brandi did file an order of protection against Jonathan, but it was eventually dismissed at Brandi’s request because she feared for her life if she didn’t cancel it. Bresha risked her life every time she ran away to find help. 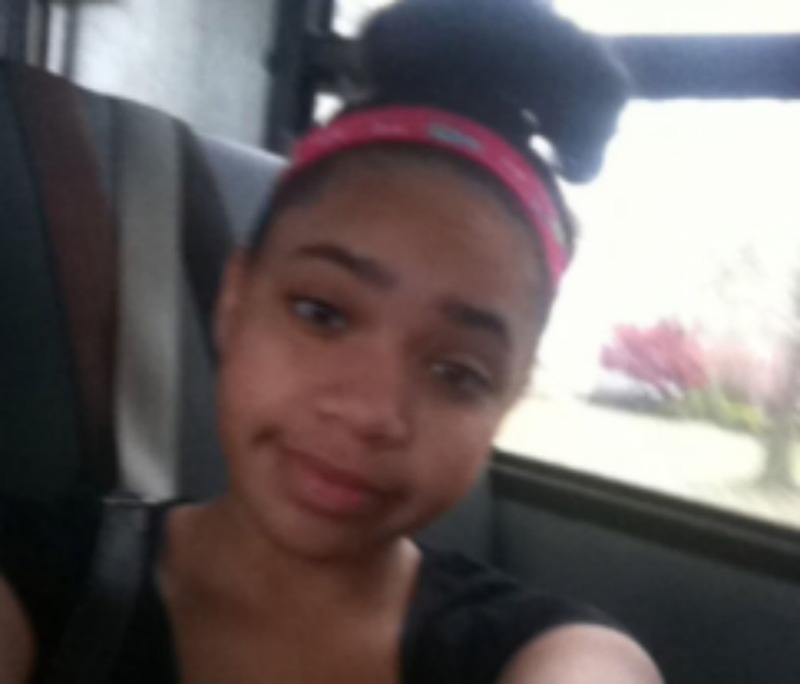 In a statement Sesi received from the office of Bresha’s attorney, it was stated that Bresha’s father would often threaten her if she so much as attempted to contact her maternal relatives. She was also restricted from how often she could leave home, how far she could go, and how much time she could spend with friends. “In essence, Bresha was forced to single-handedly bear the emotional load that accompanies domestic abuse,” her attorney’s office confirmed. Despite her home situation, as a younger child, Bresha was full of life and happiness. Those who were close to her growing up know that Bresha loves to sing. She also has a love for animals and has plans to become a veterinarian one day. Throughout most of her academic career, Bresha has maintained excellent grades and even belonged to the “Academic Achievers,” an after-school program exclusively for gifted students at Warren Harding High School. But at some point during her freshman year there, her grades dropped. Those around her noticed her personality and demeanor was different, and by May 2016, she sought psychiatric care because she was dealing with depression and questioning her self-worth. Currently, Bresha, now 15, is being detained without bond at the Warren County Juvenile Detention Center, where she’s been since the night of the incident. She is awaiting prosecutor Stanley Elkins’ decision on whether she’ll remain in juvenile court or be charged as an adult. According to The Plain Dealer, if Bresha is prosecuted as an adult and convicted, she’ll be the youngest inmate in the Ohio prison system. Her next pre-trial date is set for November 22, 2016. Despite the lack of significant media coverage on Bresha Meadows, there has been an outpouring of support from people all over the world. Brad Wolfe, an assistant of Ian Friedman (Bresha’s lawyer), says his office gets dozens of letters of encouragement for Bresha. There’s also a #FreeBresha hashtag that is steadily trending. The silence on Bresha’s case speaks volumes, but we will not let Bresha’s story go untold. If you would like to donate to Bresha Meadows and her family, visit their GoFundMe here. And if you or someone you know is experiencing domestic violence, get help immediately by contacting the National Domestic Violence Hotline via online chat or by phone (1-800-799-7233). What good is her aunt. To think she works for the agency set in place to help with this type of situation and it played out like this? Why is there no bail? Please post the prosecuting attorney’s office info as well so that we can flood that office with letters of support.